A GPS in your DNA Each human face is as unique as a fingerprint. While your DNA is unique, it also tells the tale of your family line. It carries the genetic history of your ancestors down through the generations. May be “Space” is the final frontier, but human biology is more exciting and interesting as it helps us discover who we are and where we came from.. Look around you and you will find each one of us to be different in some way or other; in fact we are different in more than billion different ways if we consider differences within us at the cellular level. There is no one else exactly like you. You could travel around the world but you still would never find another you – It's Only You! We deal with foods differently, respond to infection differently, respond to medicines differently, even our likes and dislikes differ too. Even though we are different from our parents in many ways we inherit genes from our parents. We can understand from our genome sequence that our DNA and associated genes defines you, your appearance, physiology and behavior. Everything about our body, from eyes to the big toes, is the expression of genes. Thus, genes influence the traits you inherited in predictable–and unpredictable–ways. Genomic sequencing – Replacing traditional method of medical treatment Now every patient can carry his report of their genome and doctors will quickly identify which gene is malfunctioning. They will be given treatment accordingly. It is Your Story; Our Story and the Human Story. 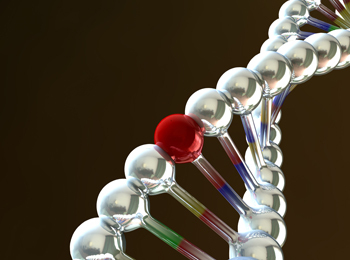 Before knowing about genome sequencing, let's have a look at what actually a genome is. Genome is the entirety of an organism's hereditary information. Every organism has a genome that contains all of the biological information needed to build and maintain a living example of that organism. The biological information contained in a genome is encoded in its deoxyribonucleic acid (DNA) and is divided into discrete units called genes. Human genome for example, consists of 3 Billion base pairs (AT and GC) which are arranged in a sequence. The human genome has 46 Chromosomes consisting of 30,000 genes. Chromosomes accommodate different genes. Scientists know, for instance, that chromosome 1 contains the gene that controls whether we are susceptible to some forms of malaria while chromosome 16 has a gene that influences hair color. Some of the people have chromosomal abnormalities like- missing chromosome or an extra one, or inverted chromosome that doesn't appear to affect their health or which may cause medical problems. Gene mutations can be inherited or can spring up randomly on their own. Now World turns to gene-sequencing and DNA-synthesis technology 20th century life sciences have been characterized by two major trends. One trend is molecular biology and genetic engineering. This trend is well known and need no further comment. 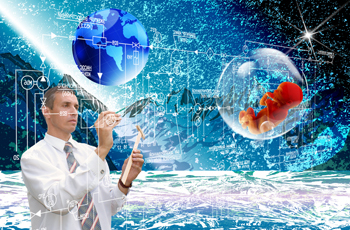 And the next emerging technology is Synthetic Biology which uses computer software extensively. 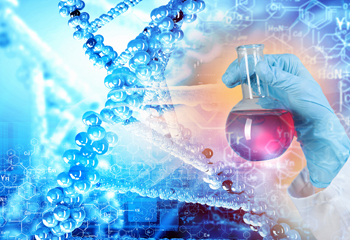 Genomics involves clear understanding of the processes that link DNA, RNA and proteins, to determine cellular and organism behavior or modifying DNA through recombinant technology. Synthetic biology is a process of DNA synthesis which involves chemically printing DNA by combining DNA from two or more existing genomes. The science of genomics and the rapidly declining cost of gene sequencing , scientists are developing new techniques to build designer organisms by writing DNA and inserting the same into cells, new field enabling synthetic biology—designing DNA from scratch to produce desired traits. They are also developing new drugs to treat cancer and many other diseases including diabetes and cardiovascular diseases. 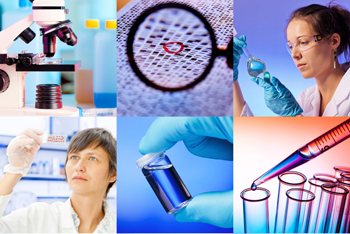 We can extend and enhance quality of life through faster disease detection, more precise diagnoses, new drugs, and more tailored disease treatments ,customized to the patient as well as to the disease. Genome book A genome is a data book or registry which records the past and future of living organisms. 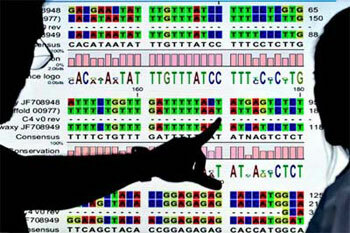 Genome Sequencing provides the most comprehensive collection of an individual's genetic variation. We all have the same 30,000 genes in every DNA strand but we all have some spelling mistakes in some of the genes compared to one another. DNA resembles a long, twisty ladder formed by two strands of genetic material that connect to create what’s called a “double helix.” Each rung of the ladder joins together a pair of molecules called nucleotides: adenine (A), thymine (T), cytosine (C) and guanine (G). A always teams up with T, and C always pairs with G. Slight variations in the order of these pairs are what make a person unique. Some variations cause disease, and some don’t. Even in a familiar language it is difficult to pick out the meaning of the passage: The flowers are beautiful. And the genome is "written" in a far less familiar language, multiplying the difficulties involved in reading it. Investigating genetic secrets Hidden within our DNA, they say, are the secrets that will teach us how to live a healthy life. The genetic secrets of an entire species doesn't immediately lay open as soon as the sequencing of the genome completes. Much work remains to be done, even with a rough draft of the human genome sequence in hand. Researchers and scientists still have to translate those strings of letters into an understanding of how genome works: how different genes are related, how the various parts of the genome are coordinated and identify various genes that make up the genome. Scientists have to figure out what those letters of the genome sequence mean. Now we are able to do DNA sequencing using high-tech machines by reading a sequence of DNA bases. 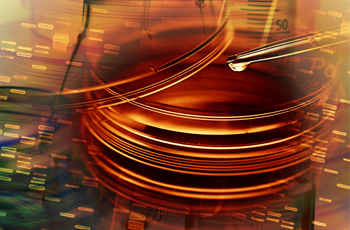 The main objective of genome sequencing is to identify changes in the genome that result in disease. Finally, genes account for less than 25 percent of the DNA in the genome, and so knowing the entire genome sequence will help scientists study the parts of the genome outside the genes. This includes the regulatory regions that control how genes are turned on and off, as well as long stretches of "nonsense" or "junk" DNA—so called because we don't yet know what, if anything, it does - research is still going on this. Understanding Bioinformatics and Genome sequencing Bioinformatics is concerned with the acquisition, storage, display and analysis of the information found in nucleic acid and protein sequence data. How do we sequence the genomes? When the first human genome was sequenced in 2003, it cost nearly $3 billion and took 13 years of work by teams of scientists from all over the world collaborating on the Human Genome Project. The second- and third-generation sequencing systems now coming into widespread use, can sequence many different parts of a genome in parallel and now a desk top sequencing machine costing few thousands of dollars should be able to sequence a human genome in a few hours. This improvement in performance has been achieved by creating highly parallel systems that can process, decode and sequence millions of DNA base pairs in a very short time. Desktop gene-sequencing machines are not far off, potentially making gene sequencing part of every doctor’s diagnostic routine. To sequence an entire genome, chromosomal DNA must be cut into short fragments about 500 base pairs long, which are separated and sequenced. For human genome, which has about 3.3 billion base pairs, there are more than 6 million such fragments. When all of the fragments have been sequenced, the problem becomes how to put these millions of sequences together. Of course, the problem of ordering 6 million fragments, each about 500 base pairs long, is more of a challenge! 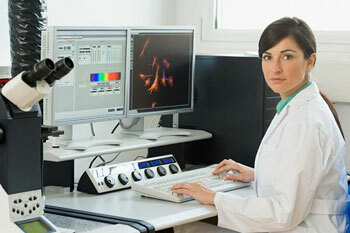 The field of Bioinformatics was developed to analyze DNA sequences using complex computer programs. To sequence a person’s genome, doctors need to collect less than a teaspoon of blood or saliva. Then chemicals are used on this sample to break open the cell membranes and gather the DNA that had been housed inside them. Enzymes strip away surrounding proteins to isolate a clump of tiny, whitish strands of DNA. That genetic material is placed in sophisticated machines that “read” each of the 3 billion base pairs that make up a person’s genetic code. Until recently, two broad approaches were used to analyze DNA fragments for alignment, they are: hierarchical sequencing and Whole-genome Shotgun sequencing. These were developed for the Human genome project, but have been applied to other organisms as well. The current sequencing tests that analyze one gene or small groups of related genes at a time, but the Whole Exome Sequencing tests analyze the exons or coding regions of thousands of genes simultaneously using next-generation sequencing technology(NGS). It is known that most of the errors that occur in DNA sequences that lead to genetic disorders are located in the exons. Therefore, sequencing the exome is thought to be an efficient method of analyzing a patient's DNA to discover the genetic cause of diseases or disabilities. Analyzing a person’s genome Genomic DNA sequencing has certainly proven its utility, for some specific medical applications, like Personalized genomics. The effectiveness of heuristic method of medical treatment based on available diagnostic procedures can be enhanced in its effectiveness by making it more personalized through decoding of human genome at individual level. With the advances in genome sequencing, now every patient can carry his report of their genome and doctors may find it useful in diagnosis and improving prognosis if genetic reasons for the disease can be identified and the treatment is given accordingly. As genome sequencing becomes routine, the availability of individualized genetic/genomic information is changing and challenging the practice of medicine. The ability to choose best possible pharmacological agent to be deployed to combat that disease is increasingly possible with information individual human genome. Personal genome sequencing generates large amounts of data which can be integrated into research and development of various drugs and methods of delivery to improve the medical condition and thee by the quality of life of patients. Sequencing your genome is nothing but knowing about yourself Scientists claim they will be able to unravel the secrets of how to live a healthy life from the human genome sequencing. "Can learn more about yourself than you ever thought possible". Our genes harbor many secrets to a long and healthy life and now scientists are beginning to uncover them. The revolution in genomic sequencing technologies has now made it feasible to determine the genome sequences of many individuals; i.e., "personal genomes". It is now possible for genome sequences to be determined for a large number of individuals, and the potential use of this information for discovery and medicine is enormous. 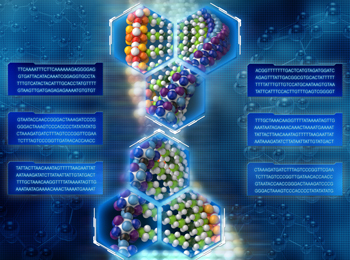 Genomic sequencing has potential benefits in medicine. 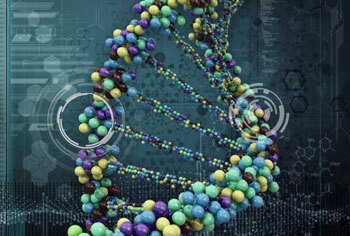 Genome sequencing enhanced scientists' understanding of genes that drive specific outcomes such as diseases by performing correlation analysis on big data sets of sequenced genomes together with patient data, and testing combinations of genes, diseases, and organism characteristics to determine which genes drive which outcomes. It helps doctors to identify and diagnose people at high risk for conditions such as heart disease or diabetes, allowing earlier, more effective intervention. Genome sequencing provides insight to propensity for various disorders New gene sequencing technology is now enabling the researchers to identify genetic disorders in advance. Researchers have identified over 3500 (approximately) diseases that are caused by a single variant in a specific gene. For instance, sickle cell anemia is caused by a single change or mutation in the hemoglobin gene. 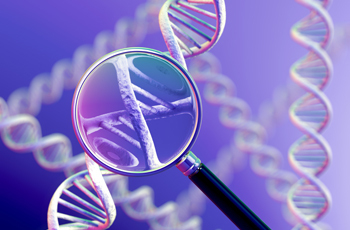 DNA sequencing can also identify genetic variants that influence a person’s risk of developing a certain disease. However, it is hard to predict who will actually develop common diseases such as diabetes, hypertension, and many cancers just from looking at our genes. Researchers are also focusing on mutation-based links to widespread diseases such as cardiovascular disease to identify how different genomes correspond to different responses to therapies. Information from individual genome sequencing provides insight to propensity for cardiovascular disease and hereditary risk estimation to guide preventative treatment options. The latest gene sequencing organizations cover a majority of genes associated with cardiomyopathies, arrhythmias, vascular diseases and many other relevant diseases like Venous thromboembolism and Familial hypercholesterolemia. The recent comprehensive cardiovascular disease sequencing panel, which includes 209 genes, covers most known genetic risk factors associated with the hereditary cardiovascular diseases. 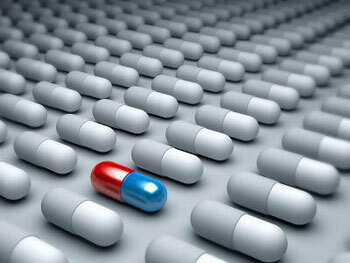 Personalized medicine move forward We are on the brink of a new era of personalized, gene–based medicine. 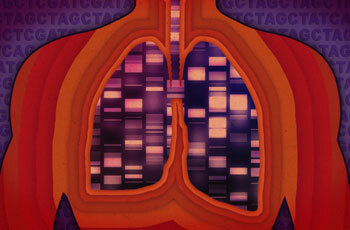 Genome sequencing also makes personalized medicine possible. Individual patients possess unique genomes and can be affected differently by the same disease or therapy. The ability to genetically sequence all patients, along with the viruses, bacteria, and cancers that affect them, can allow for better matching of therapy to the patient. Sequencing can also help physicians understand whether a set of symptoms currently treated as a single disease is, in fact, caused by multiple factors. While the technology is still in early stages, genetic testing could help doctors determine dosages and mixes of substances more precisely. Also, screening can enable customized preventive routines as well as tailored treatments. Other areas in which genetic sequencing holds promise, but for which we have not built estimates, include immunology and transplant medicine, central nervous system disorders, pediatric medicine, prenatal care, and infectious diseases. Goodbye Amnio? Fetal DNA Sequencing experiencing revolution with New Non-invasive Testing. The vast majority of expectant parents want to test their baby-to-be for major genetic defects. DNA technology can be used to reconstruct the whole genome sequence of the fetus, which could soon reveal the presence of genetic markers associated with obesity, diabetes or mental illness, inheritable disease such as cystic fibrosis, not to mention eye color, baldness and possibly even intelligence or musicality. As each and every individual's genetic make-up is different from one another, each individual responds differently to the same drug and at the same dose. Pharmacogenetics is the study of genetic differences in inter-individual drug disposition , individual's metabolic response to the drugs and efficacy pattern of the drugs. We can predict the adverse drug reactions likely to occur with certain drug helping doctors to formulate precise and personalized treatment. 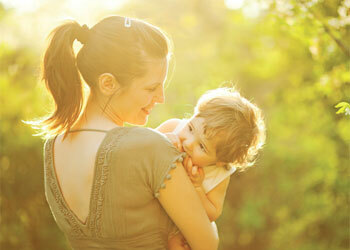 It is a kind of genetic screening test where the parents who are planning a pregnancy are undergone. It helps to predict the chances of having a child with a genetic disorder. This particular test performs the carrier genetic screening for more than 100 genetic disorders. With the help of powerful gene sequencing technologies, the mutations can be detected. An added advantage of this advanced genetic screening test is, it detects more mutations than other routine carrier screens. This means a higher detection rate and more confidence in the carrier screening test results. Next-generation gene sequencing has application in prenatal care. Sequencing a fetus’s DNA would make it possible to predict the health of the baby more accurately than current tests can. A new type of prenatal test makes it possible to screen a weeks-old pregnancy for a growing array of health issues. It could soon be as common as ultrasounds. Non-invasive prenatal tests are already being offered by several companies. These tests are helpful in diagnosing diseases with chromosomal aberrations such as trisomy 21 which involves an extra copy of chromosome 21 leading to possible Down's syndrome.. These tests are based on investigating the fetal DNA that crosses the placenta, comprising up to 13 percent of the free-floating DNA in the mother's blood plasma. Some mutations are difficult-to-detect in these cases. 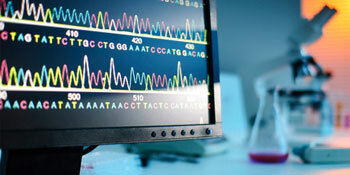 Genomic sequencing is the ideal to detect each and every genetic disorder accurately. Genomic sequencing identifies genetic variants that play a role in type 2 diabetes risk It also influences variability in diabetes-related traits, such as blood glucose levels and body mass index. Another major target for genetic medicine is type 2 diabetes, a growing health problem, especially in advanced economies. Genome sequencing could enable the creation of treatments that could control the disease more effectively and better reduce the risk of death than the currently imprecise science of daily insulin use. Genes associated with developing type 2 diabetes, include TCF7L2, PPARG, FTO, KCNJ11,NOTCH2, WFS1, IGF2BP2, SLC30A8, JAZF1, HHEX among others. Genomic sequencing identifies genetic variants that play a role in type 2 diabetes risk or influence variability in diabetes-related traits, such as blood glucose levels and body mass index. Illustrating cancer genome Cancer is a complex disease of genomic alterations, exploiting many different molecular mechanisms. It is estimated that about 5-10% of Cancer cases could be due to a hereditary predisposition. Individuals who inherit one of these gene changes will have a higher likelihood of developing cancer within their lifetime. Genomic sequencing facilitates information on personal cancer risks and guides decisions on preventative measures, informs treatment strategies etc. Advances in this field enabling the world to detect multitude of cancers such as Familial Women's cancer And Tumor gene expression analysis. Cancer is caused when mutated cells grow out of control. Sequencing is already being used to tailor treatments that are customized to the genome of the patient and the mutated genome of the tumor. Studies have shown how specific cancer-causing mutations correlate with responses to different cancer treatments and there is a healthy pipeline of bio treatment and diagnostic drugs. Genome sequencing provides a comprehensive view at base-pair resolution of the unique mutations present in cancer tissue, including those contributed by the surrounding normal tissue and tumor clonality. Genome sequencing can now be used as a critical tool to investigate cancer. Whole genome sequencing of larger sets of patients may be key to new breakthroughs in the fight against cancer. The key to effectively using clinical genomics to improve cancer treatment and outcomes lies in determining which sets of genes and gene interactions affect different subsets of cancers. Genomic Health is conducting studies in an effort to understand which patterns of gene expression, within a tumor are linked to a response to cancer therapy or to the likelihood that the cancer will return or metastasize. The results of these genomic studies and research can then be used to develop clinically validated tests . The genomic profile of an individual's tumor helps us understand whether patients are likely to benefit from and respond to cancer therapies such as tamoxifen (for breast cancer) or chemotherapy, or whether those patients are likely to experience a recurrence of their cancer. In women, the hereditary cancers are breast, ovarian and endometrial/uterine. These three kinds of cancer risks can be highly correlated when caused by specific inherited Cancer predisposition syndromes, such as HBOC (Hereditary Breast and Ovarian Cancer) and Lynch syndrome (Colo-rectal cancer). Routinely, to identify hereditary breast Cancer risk, only BRCA 1 and 2 genetic testing is offered. But advanced Women’s Hereditary Cancers panel offers in addition to BRCA 1 and 2; 13 more gene mutations analysis for breast Cancer, 19 gene mutations analysis for ovarian Cancer and 11 gene mutations analysis for endometrial Cancer. Pinpointing a driver of lung cancer Tumor gene mutation analysis decides the therapy outline helps one to predict the patient's response to the therapy. The information derived from gene mutation analysis often has an impact on deciding therapy outline and predicting the patient's response to therapy which finally decides the clinical outcome. For example; in the case of lung cancer, the genes responsible for tumorigenesis are EGFR,ALK, KRAS & BRAF. If these genes undergo mutations, the person will develop lung cancer and chemotherapy drug selection will target those particular genes. New medical gene sequencing organizations (For example; Datar Genetics limited ,,etc) proven to be unique and accurate in genetic screening. They surveys hotspot regions (DNA sequences of high susceptibility to mutation) of 50 oncogenes and tumor suppressor genes, with wide coverage of KRAS, BRAF, and EGFR genes. Action of Herceptin Herceptin is a drug which is extensively used now-a-days to keep a check on tumor growth for certain cancers. Targeted cancer therapies could be more effective to block the growth and spread of cancer by interfering with specific molecules involved in tumor growth and progression. Targeted cancer therapies interfere with cancer cell division (proliferation/multiplication) and spread in different ways. Many of these therapies focus on proteins that are involved in cell signaling pathways, which form a complex communication system that governs basic cellular functions and activities, such as cell division, cell movement, cell responses to specific external stimuli, and even cell death. Targeted cancer therapies may work by blocking signals that tell cancer cells to grow and divide uncontrollably, stop cancer progression and may induce cancer cell death through a process known as apoptosis (programmed cell death). For Example, Herceptin is a drug which is extensively used now-a-days to keep a check on tumor growth for certain cancers. It is approved to treat certain types of breast cancer as well as some types of gastric or gastro-esophageal junction adenocarcinoma. This therapy is a monoclonal antibody (A type of protein made in the laboratory that can bind to substances in the body, including cancer cells. They can be used alone or to carry drugs, toxins, or radioactive substances directly to cancer cells.) that binds to the Human Epidermal Growth factor Receptor 2 (HER-2). HER-2, a receptor with tyrosine kinase activity, is expressed at high levels in some breast cancers and also some other types of cancer. The mechanism by which trastuzumab acts is not completely understood, but one likely possibility is that it prevents HER-2 from sending growth-promoting signals. Trastuzumab may have other effects as well, such as inducing the immune system to attack cells that express high levels of HER-2. 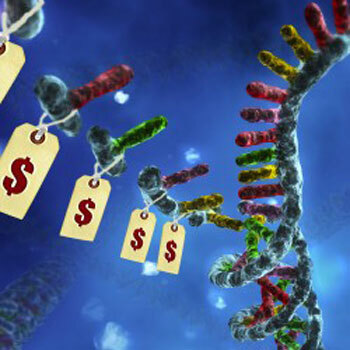 Reducing the cost of genome sequencing will revolutionize biomedical research No one really knows how the DNA sequencing market will develop or what other novel sequencing systems may have yet surface and revolutionize the industry. However, it is finally reaching a point in terms of cost, reliability, and throughput that the anticipated revolution in health and medicine that was the promise of the Human Genome Project has started to materialize. Thus, greater understanding of individual genomes is allowing scientists and clinicians to begin to “personalize" medicine. Increasingly, disease prediction, prevention and treatment will be tailored to each patient’s unique genome, including the makeup of one's tumor or infectious microbes. Doctors will be able to assess a person’s risk of cancer and recommend preventative measures. And physicians will be able to prescribe the most effective drugs with the fewest side effects, based on the patient’s genome-driven response to those drugs. The revolution of personalized medicine will yield more effective medicines with fewer adverse side effects and lead to longer, healthier lives and lower health care costs. 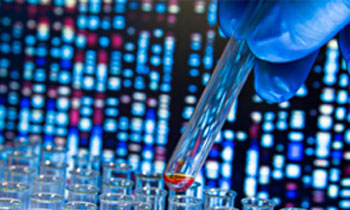 The personalized medicine industry in the United States already generates approximately $286 billion per year in revenues and is growing by 11 percent annually, according to PricewaterhouseCoopers (provides industry-focused audit and assurance, consulting and tax services to public, private and government clients in all markets). Genome sequencing could become standard practice during medical exams .The ability to sequence more material more quickly and to use the growing body of genetic data is helpful in new drug development for more effective treatment, there by save lives and improve the quality of life.